Tottenham Hotspur midfielder Victor Wanyama was quick to play down any suggestions that the club are early season title contenders, despite an unbeaten start to the English Premier League season. Spurs moved to within a point of log leaders Manchester City after beating them 2-0 at White Hart Lane, ahead of the international break. Wanyama, who joined the club from Southampton ahead of the 2016-17 campaign, is not getting carried away - knowing all to well that the North London club will have to be at the top of their game till the very last weekend of the season, if they are to claim a first league title since 1961. "It is still early in the season," Wanyama told Sky Sports. "It was a big game, but it does not make us contenders because we won. It was a tough game, they are a hard team to beat. "Our aim was to press high and try to win the ball as high as we could. Everyone was ready for the challenge and we stepped up as a team and showed what we can do. "We just want to go to every game, get positive results and see from there." Having pushed Leicester City close for most of the previous campaign, Spurs ran out of steam in the final stretch with Mauricio Pochettino's men eventually ending the season in third place - behind bitter rivals Arsenal. "They did very well last season but we need to improve. They set the bar very high and the challenge is to improve. 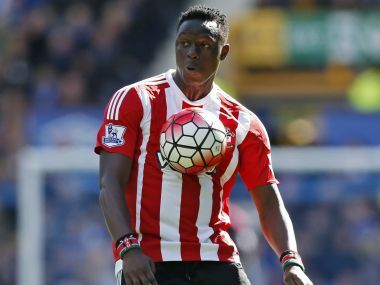 "The manager knows me very well and what I can do, that is why he brought me here," Wanyama concluded.